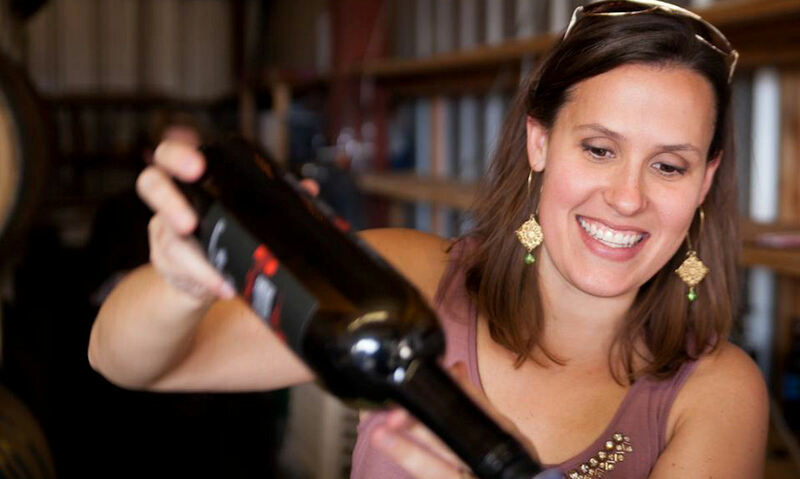 Bottle Jack is a small, family-run operation. 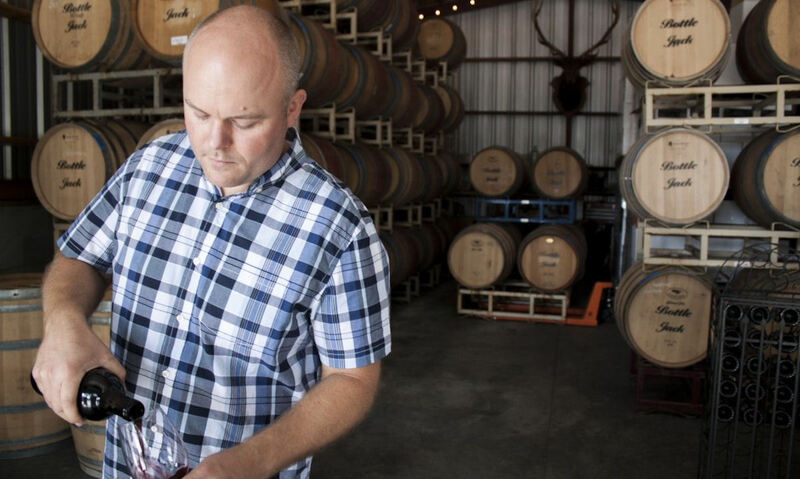 Winemaker, John Ritchey, started Bottle Jack as a project while earning his enology degree from Fresno State University. He has continued to grow Bottle Jack while working on winemaking teams for a number of wineries located in the Santa Cruz Mountains, and gaining experience abroad in Italy, France, Switzerland and Moldova. John’s large family supports him with the odds and ends of getting the job done such as driving harvest trucks, crushing and fermenting the juice, working the bottling line and pouring wines for our customers. Our hands are in every step of the process from grape to bottle. The name Bottle Jack was chosen as a tribute to John’s first winemaking experience. He was a Peace Corps Volunteer in Moldova; where the countryside is covered in vineyards and in the fall household backyards are filled with aromas of fermenting vin de casa. 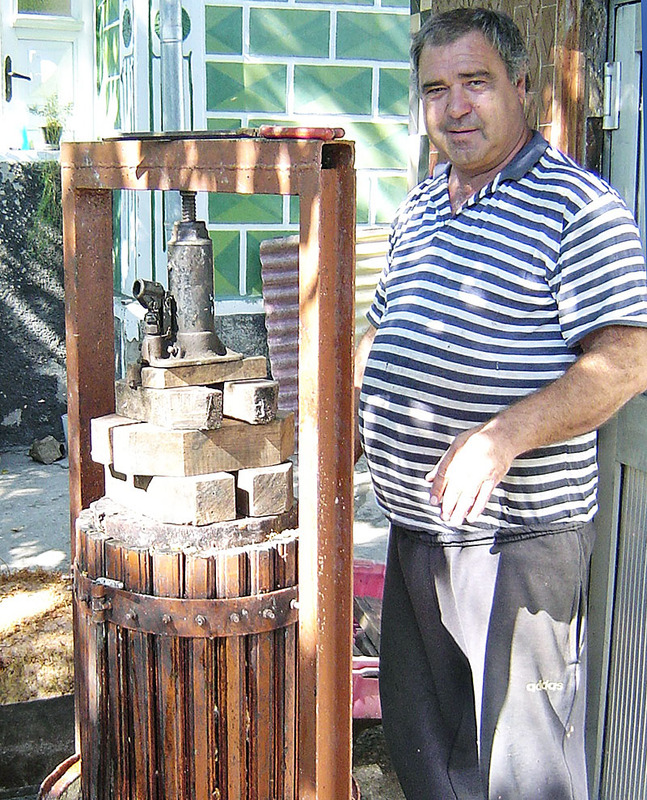 The father of the Moldovan family that John lived with had been fermenting his own house wine and needed help pressing it. There was a bit of a language barrier between them but that didn’t get in the way while they worked with the macerated grapes. He had a rickety, well worn basket press and used the bottle jack from the trunk of his car to press the skins down and separate the wine. Although John was unaware of it then, that was the beginning of his journey into the winemaking profession. Years later, the bottle jack symbolizes a few of the fascinating qualities that are common throughout the culture of winemaking; simplicity, ingenuity, and tradition. Bottle Jack was started with the idea of doing what we love and loving what we do. Our goal is to make wines that we know we’ll enjoy drinking ourselves and that are to be shared with family friends laughter and love. It’s not our style to woo you with grandiose stories, fancy marketing lingo or extravagant terms of rare and exotic fruits, flavors or aromas. Our dream is simple but it is also tons of fun. Our wines are great. We’re proud to hold a bottle in our hands and share a glass with our friends and family. We hope you do too and appreciate your support. Bot•tle Jack \ ‘bä-tel-, jak \ n. 1: a mechanical device used to lift heavy loads or apply great forces and occasionally to press wine. 2: a wine dedicated to those who have inspired, supported and encouraged others to achieve their dreams.